Dr. Abram Walton is the Managing Partner of Ivory Bridge Group, a management consulting firm specializing in Innovation, Strategy, and Human Capital Management. Additionally, he is a Professor of Innovation Management at the Florida Institute of Technology, and the Director of the Center for Innovation Management. Dr. Walton serves as a U.S. Delegate ISO Technical Advisory Group for the Innovation Management Standards (TC 279), where he helps lead the efforts regarding innovation tools, methods, IP, and trademarks. 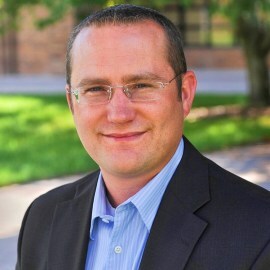 Dr. Walton also serves on the Executive Committee for the Board of Directors for the International Association of Innovation Professionals, where he is a Certified Innovation Professional and Chief Innovation Officer, as well as the Deputy Editor-in-Chief of the International Journal of Innovation Science. He serves as the Chairman of the Innovation Council and on the Executive Board of Directors for the Space Coast Economic Development Commission. He is an author, consultant, and researcher, and his efforts focus on creating sustainable, lean business models through the deployment of innovative new product, process, and services business models. He frequently consults and speaks regularly on a variety of topics, including leadership, lean process improvement, six sigma, innovation strategies, technology commercialization, product lifecycle management, and new product and service development. He has successfully helped launch several new technology ventures and works with companies on new product and service development, early-stage technology commercialization efforts, and human capital management. In summary, Dr. Walton has a wide array of inter-industry experience, which includes having spent a number of years running Wal-Mart Stores, with P&L responsibility ranging from $80-%100mm, and years of experience in healthcare consulting, as well as several years as a Fire Fighter/EMT.